With the beautiful view of the sea and an elegant setup, a Tall Ship D&D is the perfect way to bring more hype to your company’s party. Want to make things even more interesting? 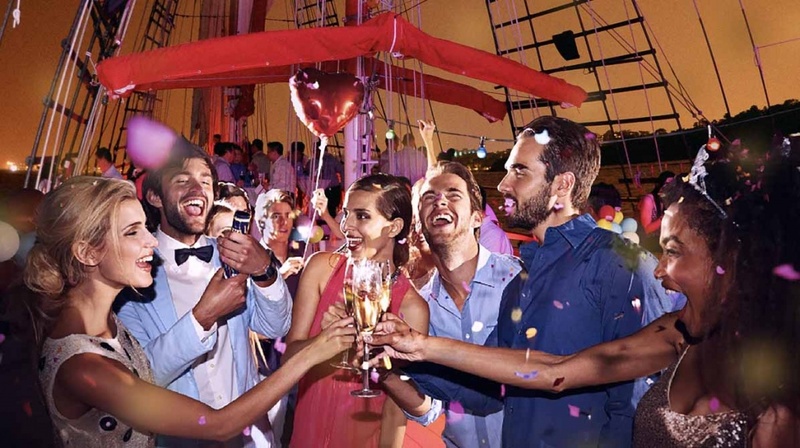 Plan a maritime-themed party and get your colleagues to dress up to match the venue! Onboard Royal Albatross, you can have easy access to its fantastic facilities. On top of our snazzy bar, you can also amp up the atmosphere by getting us to arrange for a DJ. After all, no party is complete without music entertainment. Themed parties are perfect to celebrate the year end holidays and special occasions. Whether you’re thinking of having a fun D&D or a lively company Christmas party, just let us know. 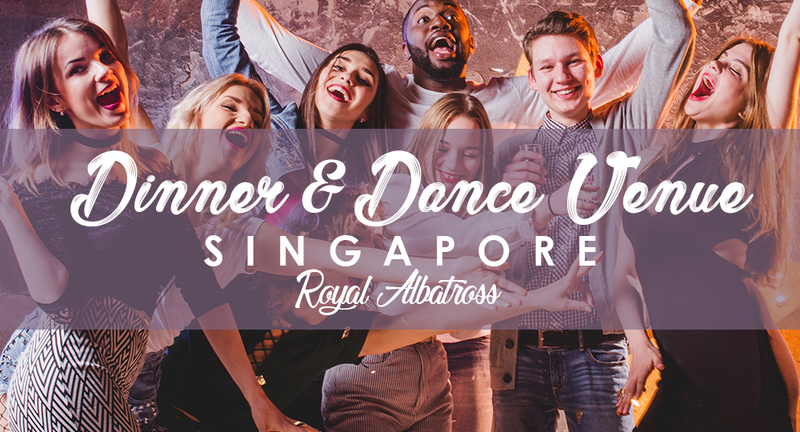 The Royal Albatross team will gladly give you a hand in planning and execute your themed party. 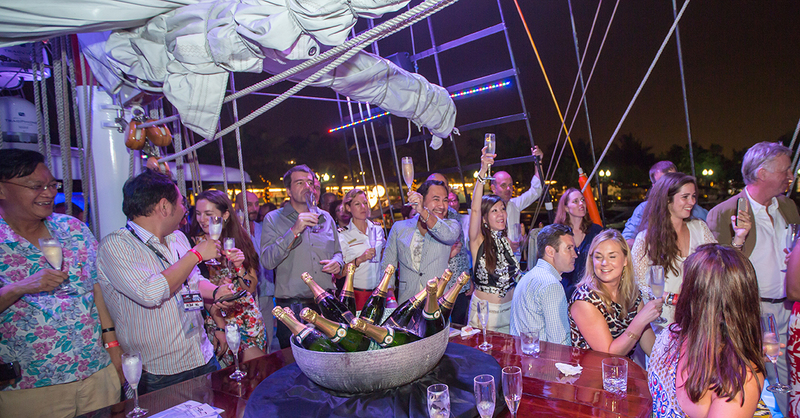 With a configurable layout onboard, it’s easy to set up a customised look that best suits your event! Will there be team activities or group games to bond colleagues? Will there be lots of dancing to relax and break the ice? We’ll be sure to configure the set up according to your needs so you can focus on running your event! 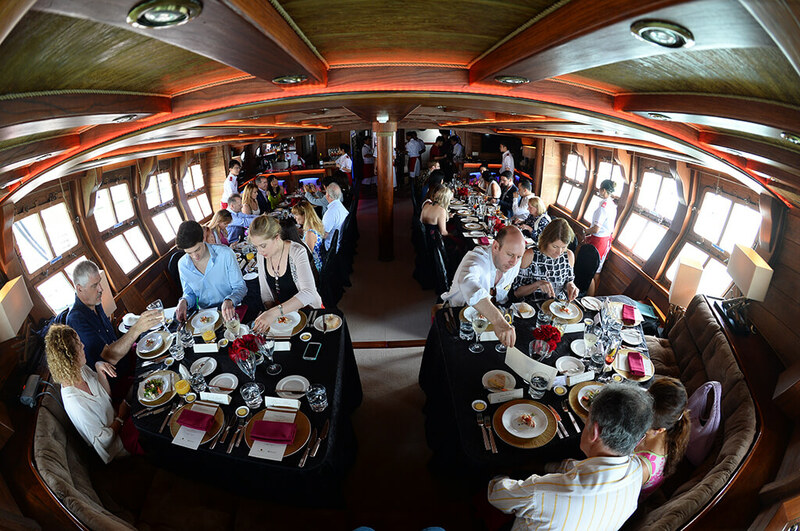 Besides being an excellent venue for parties and celebrations, our Tall ship is also conducive to corporate discussions and meetings, especially with clients. With AV systems and various facilities onboard, you’ll have just what you need to have a productive client meeting or company briefing. Critical corporate meetings tend to be solemn and severe, so holding these events onboard the Royal Albatross will undoubtedly change things. With the backdrop of a beautiful horizon, exquisite drinks and delectable catering, having committee meetings on our cruises will create a more relaxing ambience.